A great lazy saturday! Well, kind of – I had a super productive morning cleaning my whole condo, phew! And didn’t make it to the gym until 11:30. I love to be busy, but I also love weekends at home with nothing to do! 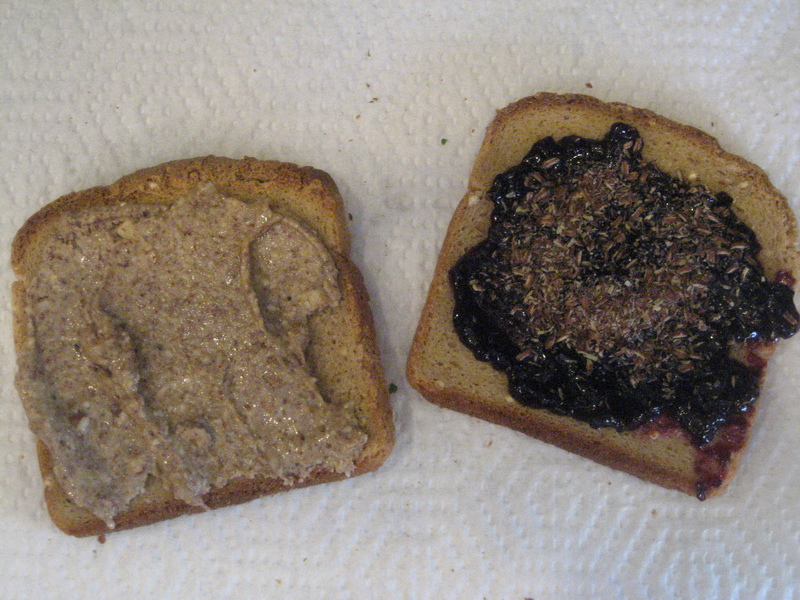 Before heading to the gym I snacked on 2 pieces of millet toast, one with almond butter and one with Crofter’s blueberry superfruit jam, and some hot tea. I had a great long workout with a 7 mile tempo run on the treadmill in 65 minutes, and a total body weight session! A few people have asked how I know what type of weights to do at the gym because it is overwhelming, especially on a saturday morning in a crowded gym! I like to make up my workout before getting to the gym so that I know exactly what I am going to do and get in and out in a timely manner! 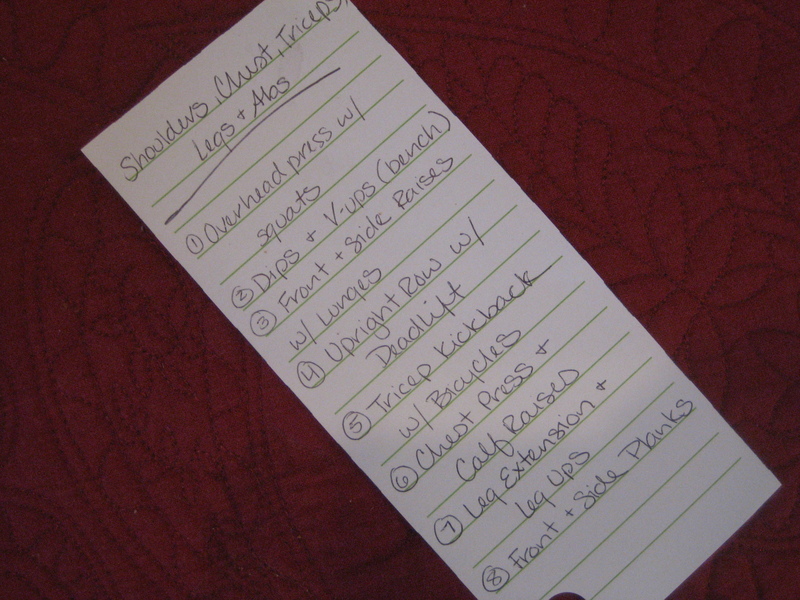 I usually write my workout down and bring it with me. Some people look at me funny, but it helps me, so I don’t care! I did some circuit training to get in all of these areas in a timely manner. Remember to always start with a 5 minute warm-up and end with a cooldown! You should also remember to eat some for of good quality protein withing 30-45 minutes after you finish your workout. 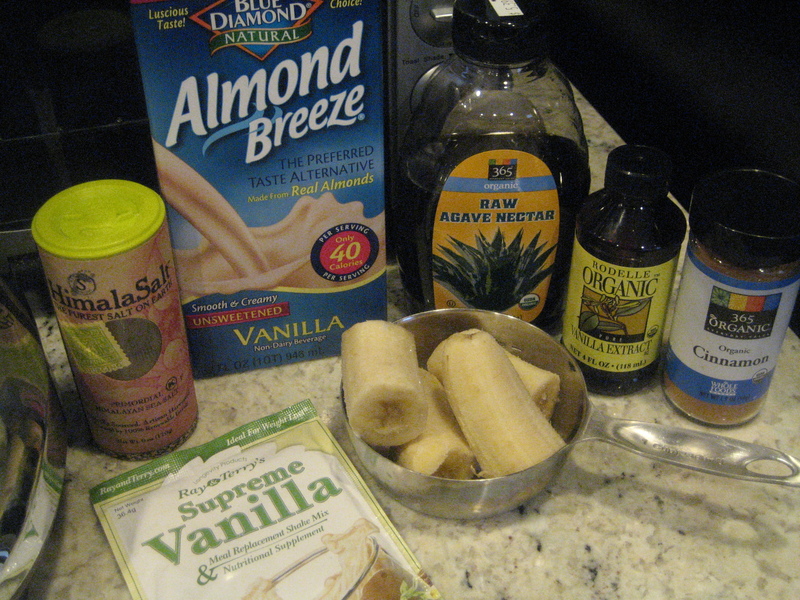 This will fuel your muscles and allow them to come back stronger! 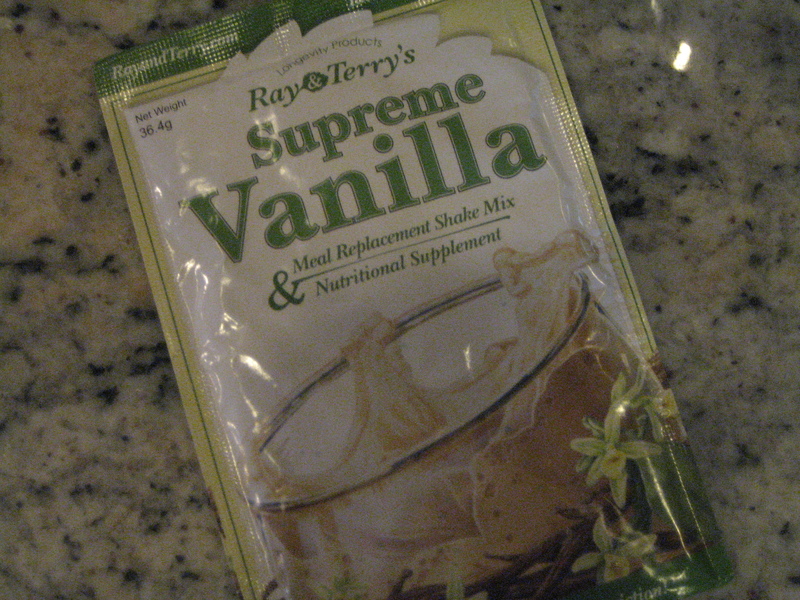 So, after my workout, I whipped up a protein smoothie with a protein powder I wanted to try out. Luckily, I only got a sample pack because it has a chalky taste. 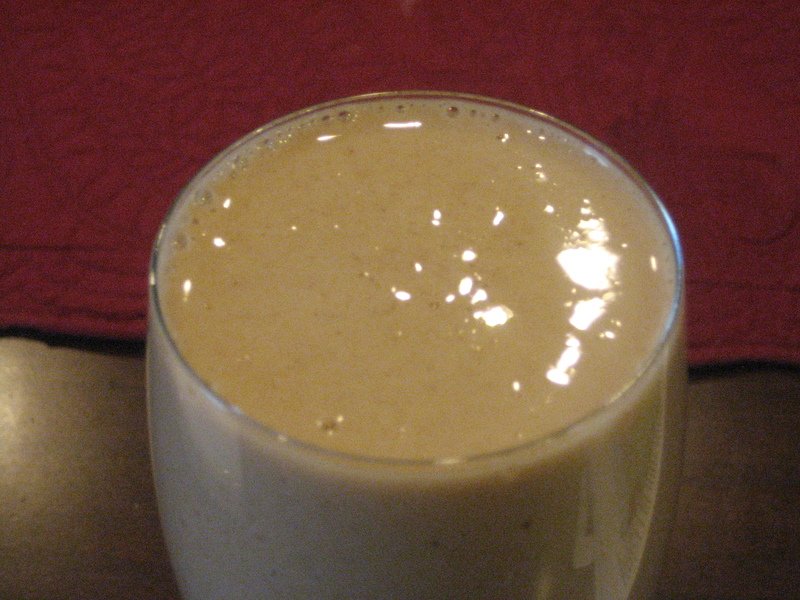 Nevertheless, I drank the smoothie to get in some protein! Blend together, serve in a fun glass and enjoy! 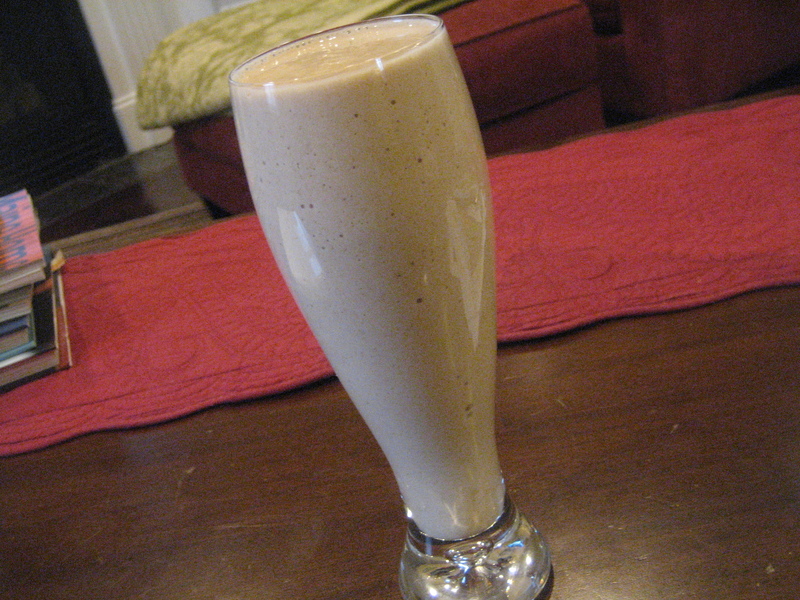 The frozen bananas and the protein powder gave this smoothie a really thick texture, which reminded me of a milkshake! But, still a little chalky with the protein powder – bummer! Lots of cooking on the agenda for the day, including some coconut milk yogurt, granola, cookies and spaghetti squash for dinner!